Comic actor who doubles as set designer and MC Bismark The Joke is unquestionably one of the good-humored actors on the screen. With a mind of a pro, he never goes wrong when he’s on set. Due to his antics, he made a debut in 2011 when he was casted in movies like “For Better For War” followed by “Single Six, What my wife Doesn’t Know, If tomorrow Never Comes, My Dad And I, Asylum Is Down, Thank God Its Friday etc.” You need an extra laughing glands to watch these movies. Here is everything you need to know about him. With constant practice backed with determination, he got his arts right by making historic mark with the movies listed earlier. His infectious acting skills landed him numerous opportunities to play lead character in hosts of TV series like “James Town Fisherman, Guy Guy and Cow and Chicken”. Talk of his artistry and creativity, he can never go unrecognized; he won an award at Ghana Movie Awards 2016 as ‘best supporting actor in comedy series’. Having an unquestionable working experience, he has a career-defining record with production houses like “Venus Films, Double Dee Productions, Gupado Films, YN Production, Swaggon Entertainment, ABN ART BUSINESS MULTIMEDIA, Philmtool Media Ghana Production, UT TV Production and ABC Pictures. It’s important to log in the fact that, Bismark is an award winning professional props and set designer which in actual sense his first occupation in the movie Industry before his talent as comic actor was established. Bismark Nii Odoi popularly known as Bismark The Joke in the showbiz circles, is the only child to his parent. His father was a former Accra Hearts Of Oak player, Joe Odoi. He had his secondary education at St Francis Secondary Technical School in Akim Oda where he started exhibiting his passion and talent in acting by participating in drama activities. The immensely skilled actor with his personable manner of delivery is identified as one of the pioneer’s in short comic films in Ghana. Dedicating more passion for acting, his works has received mass critical acclaim exposing him to the international market. He traveled abroad (UK) to work with Abbeam Production in London on a movie titled Bismark The Joke And Last Word. 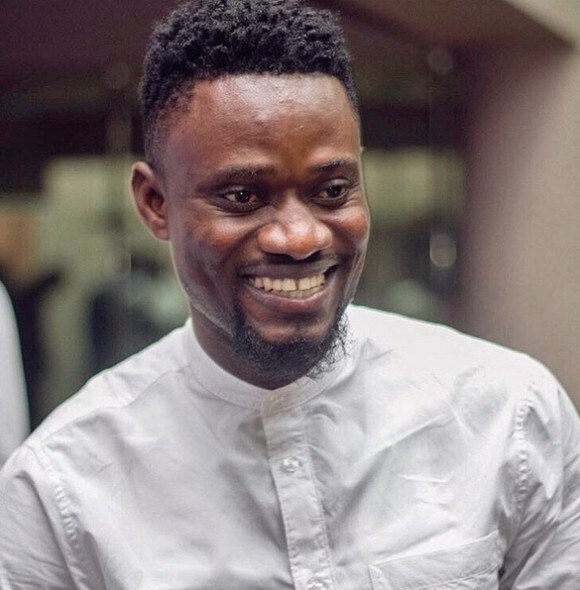 ‘Bismark The Joke’ as a brand has also been a commercial model based on his fame, working with a number of corporate institutions like Kasapreko Company LTD, MTN Ghana, Despite Group of Companies among others in driving traffic for their product commercials. Presently, he has established his own production house “ B.O productions” of which he is the CEO. In case you did not know, Bismark is also a motivational speaker with focus on empowering the youth at large.